Migrant Mother cross stitch pattern... 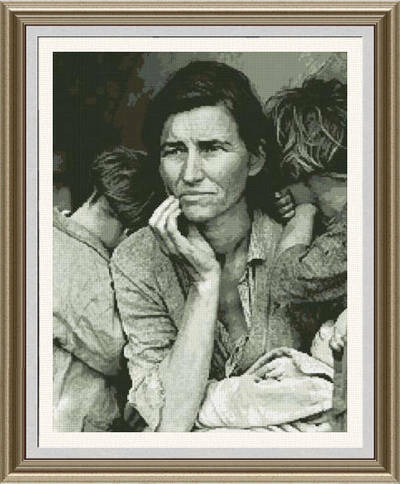 This counted cross stitch pattern was created from a famous photograph by Dorothea Lange. This is Florence Owens Thompson, mother of seven children, at the age of thirty two. This is an iconic image of the great depression.